Cold brew coffee seems to be everywhere—yet, not all cold brews are created equal. Peet’s Coffee, Inc and Portland-based agency North highlight that difference in a new campaign for Peet’s premium line of bottled Cold Brew beverages. Since its beginning in Berkeley’s “gourmet ghetto” in 1966, Peet’s has stood as the Original Craft Coffee™, influencing generations of coffee connoisseurs. The brand leveraged its over fifty years of handcrafted expertise to develop a line of bottled Cold Brew, currently sold only in its home state of California. 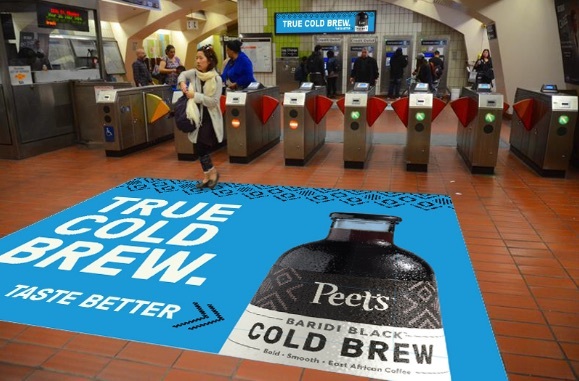 To drum up excitement around the product line, Peet’s turned to North to develop a creative and highly integrative marketing campaign throughout California. “Most brands process their bottled cold brew to make it shelf stable and prolong shelf life,” said Gretchen Koch, Marketing Director, Coldcraft. 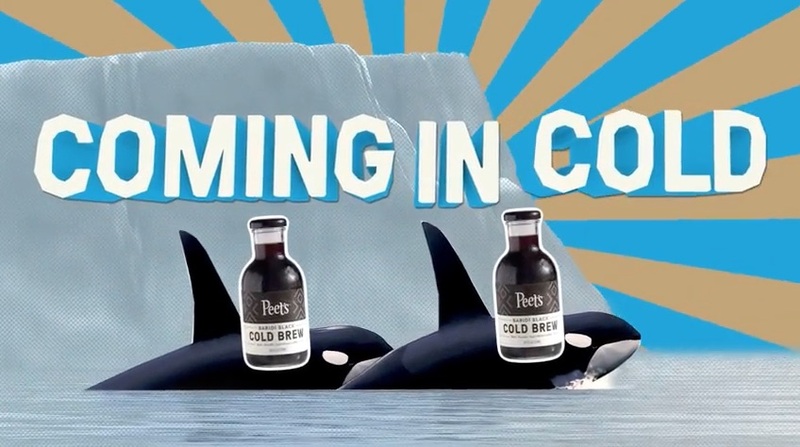 “This campaign reinforces how, unlike some industry players, Peet’s Cold Brew is ‘True Cold Brew™’ because it’s crafted in a premium way and kept cold, from bottling to delivery to the store on to cooler shelves.” Focusing on keeping the cold in cold brew makes a big difference in taste, ensuring flavor and freshness above all else. Peet’s Coffee has long been a staple among Gen-Xers and Boomers and is looking to expand its loyal fan base to millennials. “It’s a complete joy to work with such a simple value proposition: True Cold Brew. Our job was simply to hammer home the Peet’s Cold Brew difference,” says Mark Ray, Chief Creative Officer at North. 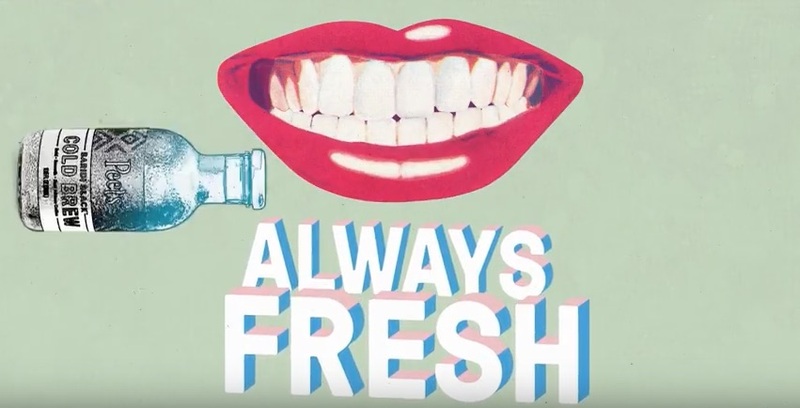 Creative focused on calling out the difference by highlighting the benefits of Peet’s process of cold brewing and ensuring cold through its owned chilled delivery system: fresh and better flavor. The video ad pairs LA artist Harriet Brown’s track “Cryptid” with images of Santa Clauses, cool cats, snow globes, and orcas (carrying bottles of coffee, naturally). 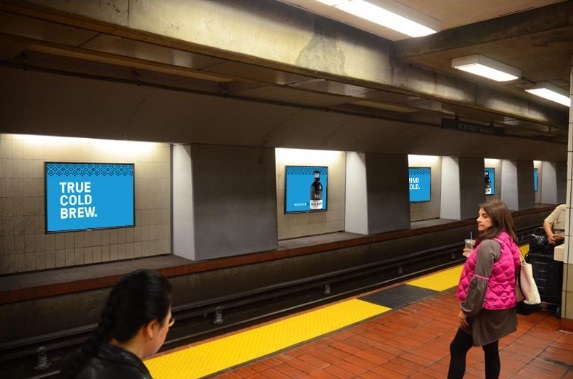 The campaign includes social video, an out-of-home BART station takeover, and custom mobile ad units.